Rated 5 out of 5 by 702 reviewers. My Molly dog loves this. 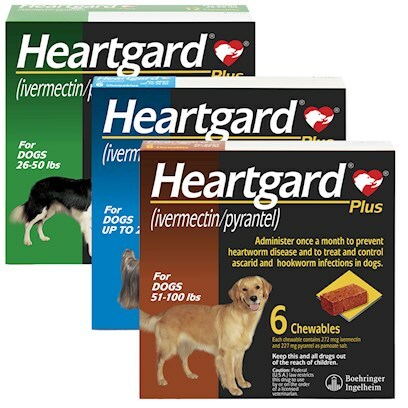 Heartguard at a great price! PetCareRx does all the work! Easy to chew and has a good smell. Healthy heart = happy dog! PROTECT YOUR BELOVED PET! We call this a "Treat" and he comes running! My vet recommends this for my min pin. BAD TASTE OR NO TASTE!!!!!!!!!! My dog loves the taste. Great product! My dog loves them! THIS PRODUCT KEPT MY 7 YR OLD MINI-PIN SAFE SO FAR. I want the best for my canine companion.